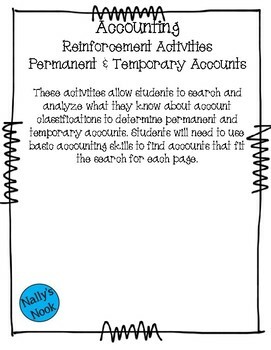 Included in this product are two different pages of activities. 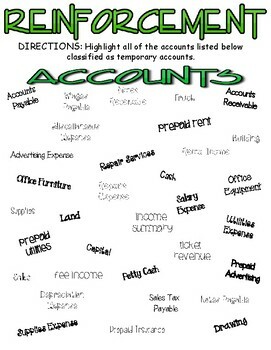 Students will locate accounts that meet the categories asked for on each page (permanent accounts and temporary accounts). 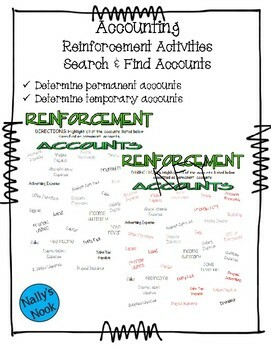 If you enjoyed this product, please take the time to leave positive feedback! I will continue to create new accounting products in the upcoming weeks! If you liked this product, you should stop back to see what new and exciting products have been added. Thank you for visiting Nally's Nook!